Fictional story based on real characters and timelines about a secret St. Francis took to his grave. Printed in over 13 Languages! The Franciscan Conspiracy is set against the chaotic backdrop of thirteenth-century Italy, a time when the extreme poverty of religious zealots clashed with the burgeoning prosperity of merchants, the monastic orders, and secular prelates. Father Leo, closest companion of their Order’s founder, refuses to take his secrets with him to the grave. In a farewell message, Fra Leo launches the young hermit friar Conrad into a labyrinth whose every passage confronts his deepest fears, there to make sense of the bizarre and puzzling events that followed the death in 1226 of Francis of Assisi. The Franciscan Conspiracy is based on an actual event, the kidnapping and hiding of the remains of Saint Francis of Assisi at the instigation of the head of the Franciscan Order. The burial site was not discovered for 600 years. What Church-threatening secret were they hiding? Only now has The Franciscan Conspiracy finally been revealed. 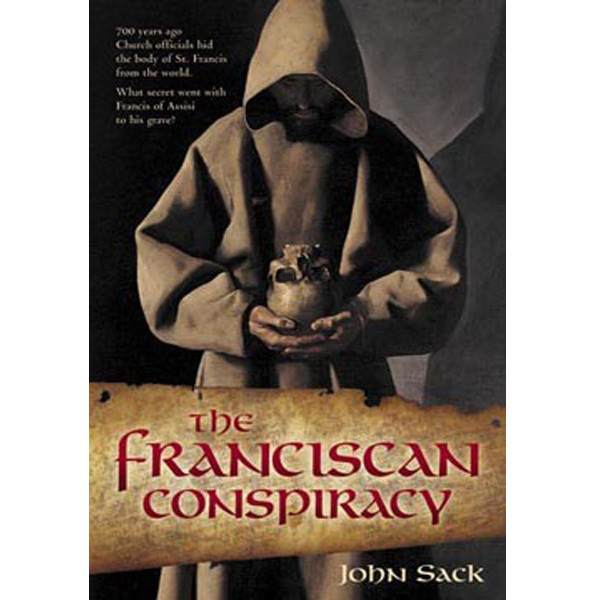 A historical mystery, John Sack researched the biographies written during the forty years following the death of St. Francis as well as the chronicles of the wandering friar Salimbene, who appears in the novel. The crusades and the various Church Councils described in the book refer to historical events. The popes and leaders of the Franciscan Order, as well as most of the friars in the story, are also based on real people.